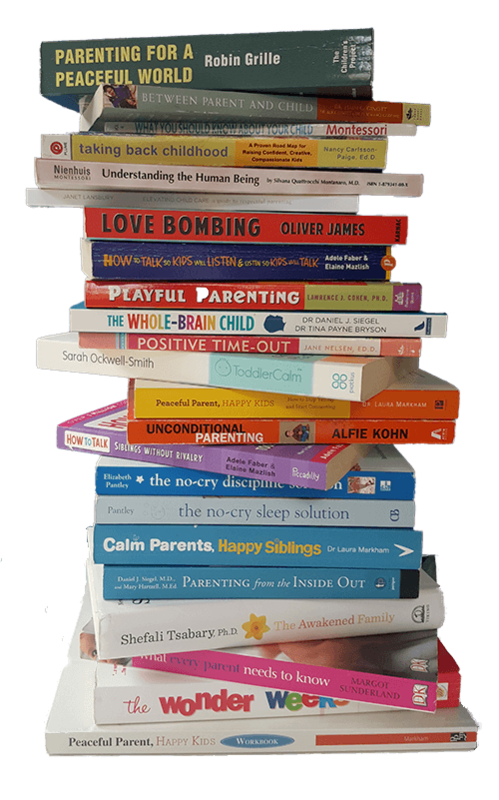 Based on scientifically proven parenting strategies, gentle parenting and Montessori principles. My next Gentle Discipline Course starts on the 23rd of April! The Science of Early Childhood Development has had major breakthroughs. ​Why are we still taught outdated parenting techniques? When a child is born, the mother and the father are born too. Nothing in life prepares us for that great parenting journey. Every day is brand new, full of joy and full of challenges. Some say we don't need to read books; we don't need to inform ourselves. It is an instinct. Just follow what your parents did. When we copy our parents, when we act out of habits, we act upon the knowledge of child development that they had at the time. ​Research has evolved. Now we know more about the child development than ever before. Unfortunately, the parenting techniques we are taught haven’t caught up with the latest research. Why are we still being taught outdated parenting techniques that are based on old knowledge of child development? For example, why are we trying to convince our toddlers to share their toys in a playground when their brain development doesn't support such level of socialization? Parenting starts with respect. We must forget the idea that children need to be controlled and that their spirit must be molded. Let’s now integrate all we know about our children’s development into our parenting. Let’s transition to a style of parenting that respects the child development stages and treats the child as an important individual. Nowadays we have so much evidence-based information that we owe our children to learn about their development. We must learn about the best parenting practices to become a better parent. My name is Carine Robin. I am a Child psychologist, a Montessori teacher and a yoga teacher for children. I own a masters in psychology with a major in child psychology. I worked as a child psychologist in Belgium, my country of origin, for several years. I ran my private counselling practice and I worked for various social services, including a foster care agency. In 2006 I left Belgium for Ireland where I worked in a daycare nursery. While on this job, I discovered the Montessori education. I developed a passion for Montessori. I later decided to train as a Montessori teacher. I gained my diploma in 2009. I worked as a Montessori teacher for 2 years in Ireland, before leaving for the United Kingdom where I currently reside. After moving to the UK, I was able to secure a job as the manager and Montessori lead teacher for two years in a Montessori preschool. I have been running my own parents and toddlers Montessori community for 8 years. Apart from being a Montessori teacher and child psychologist, I am also a Yoga teacher for children. And, most of all, I’m a mother of 2! With all my knowledge of child psychology, I discovered that I was still triggered by my children’s behaviour. Sometimes it felt like my mum was shouting through me, but it wasn’t really me. Like many of you, I was loved conditionally by my parents. They used rewards and punishments at home. When we become a mum or dad, we will tend to replicate the way our parents raised us. It’s only natural. The problem is: very few parents from their generations, if not any, were taught respectful parenting techniques. A lot of disrespectful, misconceived and flat-out wrong discipline techniques survived through the dark ages of human history and were still mainstream and taught as the de-facto parenting techniques to our parents. More depressingly, those antiquated discipline techniques made their way to our times and are still being taught today by some self-proclaimed parenting gurus. Our parents didn’t know any better. We now owe our children to integrate and apply more respectful, gentle and caring discipline techniques. It is important to understand that, as parents, we will never be perfect. Our parenting style will largely reflect our own parents child-rearing ways. Those were passed, unchallenged, from generation to generation. It takes a conscious and repeated effort to change. Parenting is a journey where we learn every day. We will still have bad days, where we will lose our cool and act out of habit. But once we have the right tools and the right parenting techniques, once we come from a place of respect for the child’s stage of development, it is way easier to reconnect with our child, even after we’ve slipped in autopilot. My course will teach you all the latest gentle discipline techniques based on respectful parenting. "This week's class and material completely blew my mind!" "Right after the class me and my wife kept discussing how crazy it was not to say "well done" or "good boy" as we thought it was kind of cruel... But then the more we talked, the more we realized how conditional love was something we were raised with, and how it limits the child development." When I came into parenthood, I became a passionate advocate of children’s rights. I trained with Sarah Ockwell Smith and ran local BabyCalm and ToddlerCalm sessions. I devoured all the gentle and respectful parenting books. I started to integrate into my parenting all the principles and techniques I learned, and all my knowledge about the different stages of a child’s development. The result: a peaceful family! My husband and I respect our children and treat them as individuals. They are full, complete members of our family. In return they are more respectful themselves, and we all are more connected. Parenting is a journey and I learn everyday. That’s why, when you buy my course, you have a lifetime access to our Facebook group. You can come back at any time and get support from our friendly community. You will benefit from the course every time I run it, every 2 to 3 months, with support in between. The next course will run from the 23rd of April. The course runs for 5 weeks of teaching + 3 weeks of Q&A and live guided support. The course is hosted in a dedicated Private Facebook group. This means that you will benefit from the group support and my guidance every time a new group is starting, every 2 to 3 months. I will offer a monthly Q&A in between each course. Each week, you will access one or two Facebook live, depending on the topic, plus a live Q&A. You can watch the replays for the time of the course, and you can ask your questions anytime. Alongside each video, you will receive a PDF guide to download. This will help you remember the concepts, tips, and activities explored during the course. I will encourage you with activities and homework. I will assist you in applying gentle discipline methods with your children. You will also be able to share your own individual challenges. I will help you to resolve any conflict with your children. I will be there at every step of the way to support you. The private Facebook group provides a supportive space for an ongoing community discussion with like-minded parents. When you purchase my course, you have a lifetime access to the Facebook group! And you also get a lifetime access to the course, including any changes I make. We will explore parenting topics based on the group’s demand. Some of the topics we looked at with the previous groups were "how to help with the arrival of a new baby", "how to cope with the stress of parenting", etc. You will definitely enjoy the group and you will be happy that you joined this community. My private Facebook group is there to create a supportive, non-judgmental community, where you feel safe to learn and become the best parent you can be. You want to understand more about your child’s development and how to best support and guide your child. You face epic tantrums, defiant behavior, picky eating and don’t know the next line of action..
You are triggered by your children’s behaviour and you don’t know what to do. You don’t want to raise your child in the same manner you were brought up. You know about Gentle parenting but you cannot figure out how to apply it in real life. You and your partner want to get on the same page about how to raise your children - both parents enroll for the price of one! You want a supportive, non-judgmental, guilt-free community of like-minded parents. Our tribe will help you feel more confident and peaceful as a parent! All about your child’s brain development. 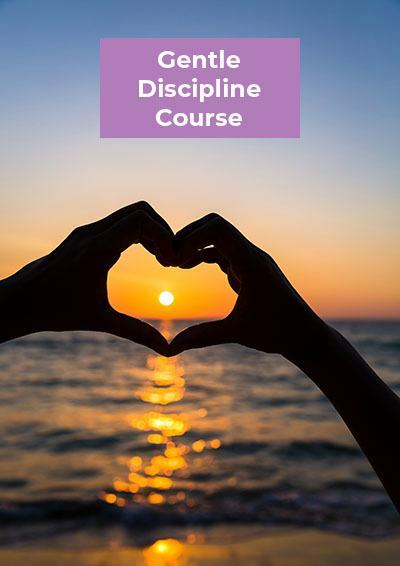 This course focuses on the development of emotions, impulse control, reasoning, and how it impacts the way we can “discipline” and guide our children. What behavior to expect from your child, and why you cannot expect children to understand rules the same way as we do. Why naughty step and time out are not recommended, and what’s the alternative. Why rewards and constant praise are not good either, and what to do instead. All about tantrums, and how to help your child go through one safely. How to prevent the most common issues. Positive strategies to stay connected to your child. How to help children manage their emotions. I will give you tools and ideas that will help you explore emotions with your child. How to discover your own triggers, and how to overcome them. How to become a more mindful, calmer parent. I’ve added several bonuses to the course. A lesson on how to welcome a new sibling in the family and how to help siblings to get along. A yoga and mindfulness session video that shows you how to practice mindfulness at home with your children. So far, I have only received positive feedback for this course. Please check the testimonials below! I am convinced that this course will provide you with valuable information and support. 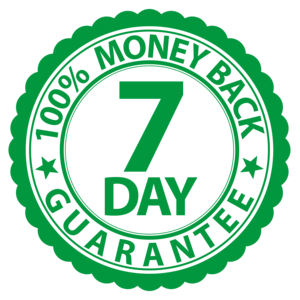 For the first time, I am offering a 7 days money back guarantee. From the moment we have started the course, you have 7 days to try it. If after 7 days, you feel the course is not for you, I will give you a full refund, no questions asked. "This course was very useful for me, it helped me understand better my 3 years old. Thank you!" "That’s one thing I got from this course that i wasn’t expecting... the ability to be more of a voice for this our style of parenting and the way we do things now. So thank you for that!" Can I take this course if I live outside the UK? Yes! This group is globally friendly. If you cannot attend the Facebook live session, every video is available for immediate replay. I've had people from more than 10 countries taking this course. The main weekly video is around 45 min to 1 hour long + a Q&A video. I will also encourage you to carry on some practical tasks and to try the tools and strategies explored in the course. Since I will be there to guide you Live for 8 weeks, I will ask you to dedicate some time each week to the course. This will help you integrate your new parenting skills. You’ll become a better, more peaceful parent! Your relationship with your children is precious. The early years can be chaotic and overwhelming. Now is the time to foster a deep connection with your children! I don’t have a Facebook account. Can I take this course? I have chosen to run this course on a Facebook group to keep it affordable. I decided to use this platform as it allows for an easy interaction with all members of the group. It also allows me to broadcast live videos which members can follow up in real time. I don’t offer a standalone discipline e-course as I want to be there to guide you. A course that helps you to deal with your child’s emotions and behaviors as well as yours, must be offered, in my opinion, within a safe space and moderated by a guide (aka myself). Some members have created a new private Facebook profile just for the sole purpose of this course. I will upload the Live Sessions held in the Facebook group as replays on my website. With this, you will be able to follow up with the videos recorded from my Live interaction. Please note that there will be a delay between the live broadcast and the time the video is available on the website. I don’t have a Paypal account. Can I still pay for the course? Yes! You don’t need to set up a Paypal account to checkout through Paypal. If you still experience difficulties, please contact me and I will arrange an alternative payment method. I cannot afford the course. Do you offer any discount? I make sure my courses are affordable for the majority of parents. I understand that affordability will be understood differently by some parents. Some parents might not be able to participate due to their level of income. I am happy to offer a free course for every 20 paid courses for low-income families. Please contact me for further details. "Carine has helped me a lot to improve my parenting which has really make a difference to family life and my child's development"
"I have attended Montessori discipline course which helped me a lot to understand my child , to respond in challenging situations and even prevent them. Also Carine has supported us to improve our house and make it more child centred in order to help my son's independence. I highly recommend her." "I have taken Carine’s Montesssori discipline course and I thought it was so useful. The info has been really good"
"Having the background knowledge that supports the theory as well as practical tips was invaluable. I loved it so much I’m booked onto the parenting course next! I feel as though I will be able to use a lot of the advice and tools as my son gets older but it’s definitely good to start using them now so I can practice!" "I Really enjoyed the course"
"Although couldn't do most of the lives, and still catching up. Love the insights from you and other parents interested in Montessori methods in particular." 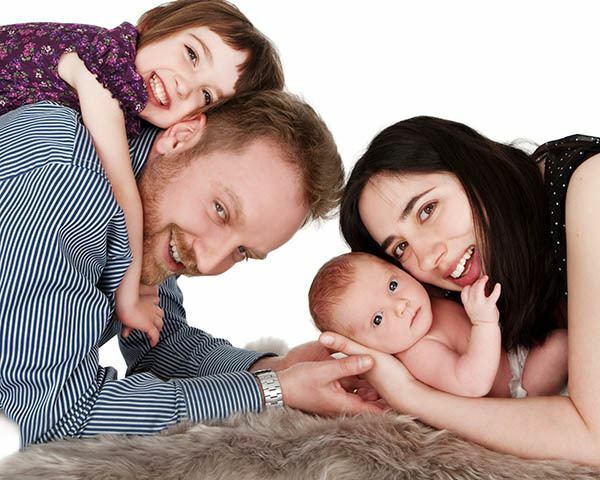 "Thank you Carine this course has been very informative for both me and my husband"
"we’ve learnt a lot from it and helped us change our parenting ways and also how to tackle the toddler scenarios etc, your pdfs are great I’ve got them all printed out." "It has helped me a lot especially the part about playful parenting"
"I have really enjoyed both courses and have found it reassuring to hear other people’s experiences!" "I have participated in both the Discipline & Parenting courses and highly recommend both"
"I love Carine’s ability to help you focus on the things that actually impact on your parenting. I feel empowered as a parent and grateful to be a member of the wonderful community in her groups." "Fantastic Montessori and Gentle Discipline courses"
"Clearly delivered, lots of guidance and fantastic support in both the private and general Facebook groups. Highly recommended!" 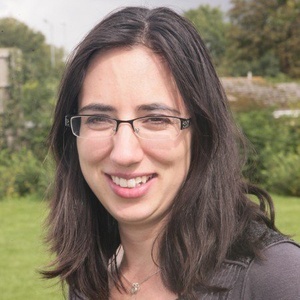 "Carine has been such a great support on our Montessori journey"
"I didn’t know much when I first started but having completed both the parenting & discipline course found both the handouts and live sessions extremely helpful, informative & easy to understand. Carine is extremely responsive and will always answer your questions. The sessions are also great for a group support for like minded parents on a similar journey too. Would definitely recommend!"